I was a St. Louis musician in the 70s and 80s and also part owner in a music store who purchased from St. Louis Music. 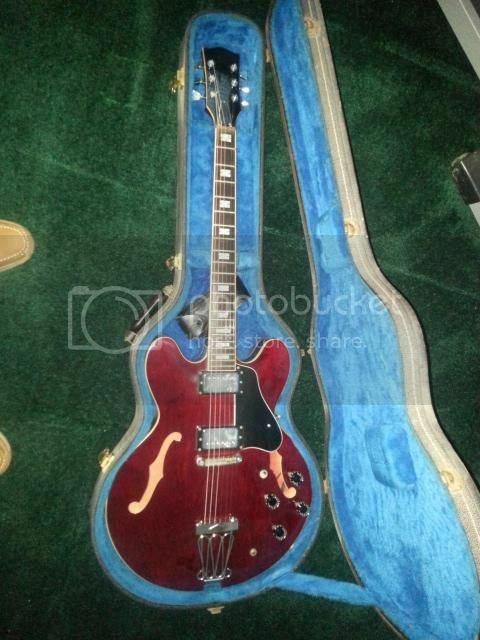 My rep had found I had purchased a burgandy Gibson ES335 and brought me a guitar that was a copy, for me to try and give him my opinion. It had no head markings but was a very close copy and in the exact burgandy color. It played and sounded great. 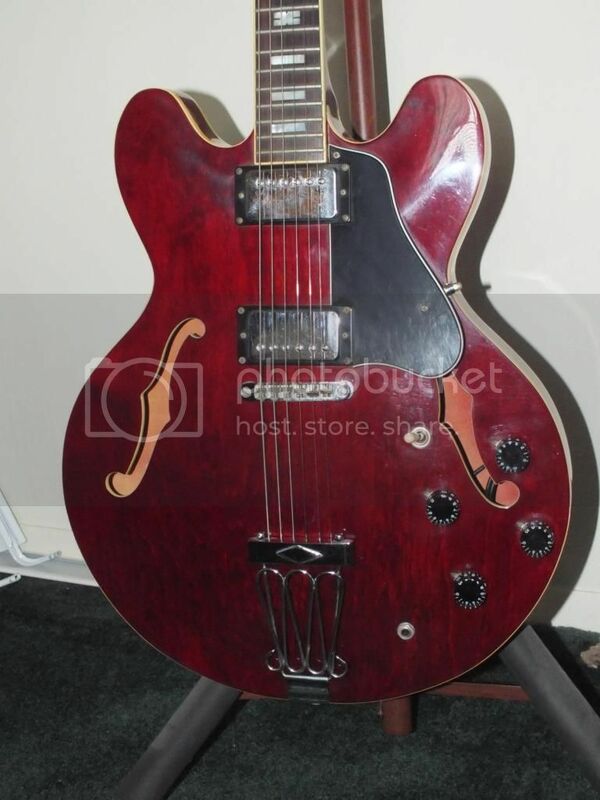 In fact, I liked it so well I purchased it from the rep and sold the Gibson. I then played it on stage fro many years until I quit in 1982. I was wondering if there is any way I could get some verification to back my story as I have misplaced the paperwork over time? I did install a brass nut about 1974 but other than that it is a just like I purchased it and is in very good shape considering the many day it spent on the road. Tom Presley would be the only person I would know that could possibly verify anything you have stated. I am not certain the year he jointed SLM but it probably was around that timeline. If he ever saw it he probably would know. I don't know of any other that could tell you much. Maybe some of the other folks on the forum worked there or know as well. I didn't. Congrats though on such a nice guitar. Post some pictures to photobucket and then post the links to it here so we can see. Someone might chime in if there are pictures. Certainly some people can see how it resembles the production models. I tell you I have been involved in this for years and I learn new tidbits all the time - including something just last week. Do you have contact information for Tom? After looking around the site (which is great by the way) it appears mine was the prototype for the 2266 Burgandy Pro. At the time the STLM rep told me he had three. One was blonde, then mine and I forgot the third. As you can see, it has a couple battle scars but really not bad for being used 5 to 7 nights a week for about 10 years around St. Louis and on the road. I have had many, many guitars pass through my hands but this is the "work horse" always played on stage and the only one kept all these years. Mainly because it was unique and as far as I know only one of three brought into states that looked like this. I used it with a Peavey Musician with 2 15" Black Widow" Speaker cabinet. As you can guess, the sound was great and the sustain was amazing even at low, small venue volumes. I'd vote that it could be a prototype - sure looks like some I have seen. 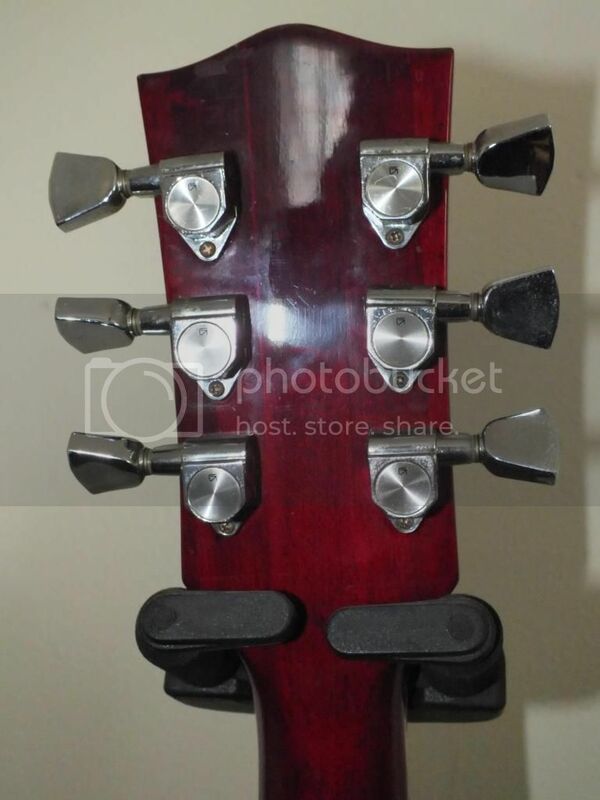 - the headstock is "chopped off"
- possibly binding (or lack thereof) on the F holes? I'd vote that it is entirely possible. Tom's user id here is TomPresley if you'd like to try to send him a private message or otherwise contact him. I know he is a very busy guy so not certain how or when he will answer, but he may. If I talk to him I will mention this thread to him. It seems like possibly a good way to reach him. 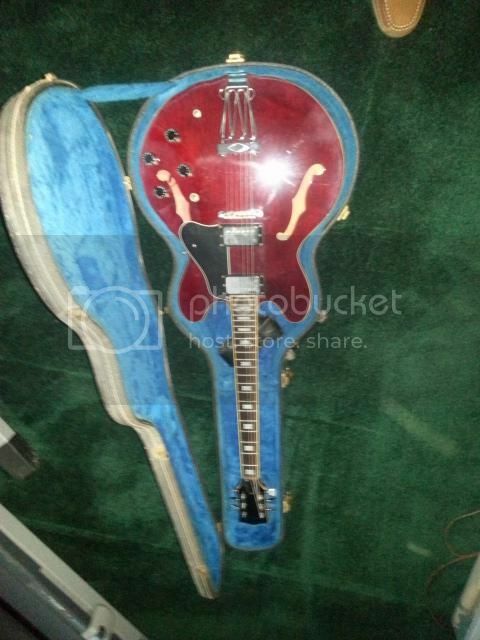 I have not owned one that looks like that though, but my Elvin Bishop in the picture (my Avatar) is pretty early and I think a 76 or 77. 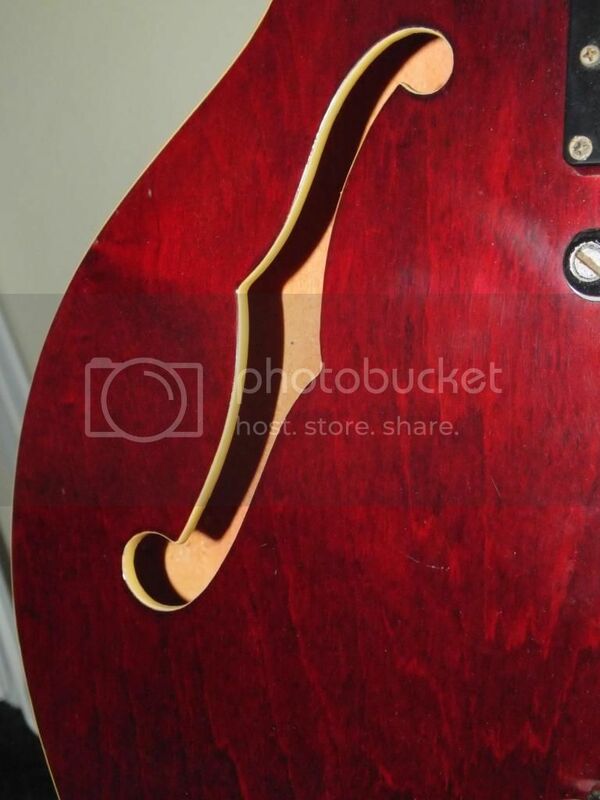 It has an early heastock design, and it had that type of trapeze tail piece but was converted by someone before me to a stop tail. The color and inlays are different on that model obviously - trimmed out differently. The keys on mine have been replaced by grovers, and pickups are now Sheptones - so mine is NOT a good example really of a collector piece but it IS a killer player guitar. I love it. Yours really looks nice. I guess you aren't asking me what I think though, you KNOW what it is. You want independent verification. I'd give you my vote, but didn't work there. It has a lot of consistencies. Thanks again for all your help and input. I have sent Tom a PM although I am pretty sure I made the purchase in 71 or 72 as this was the time period when I had the music store. I believe Tom came on in 75. I hadn't played much since I quit in 82 but recently had the urge to pick it up again as I am nearing retirement. That prompted me to Google a few things and I was totally blown away to find this site and that Electra was back in business. 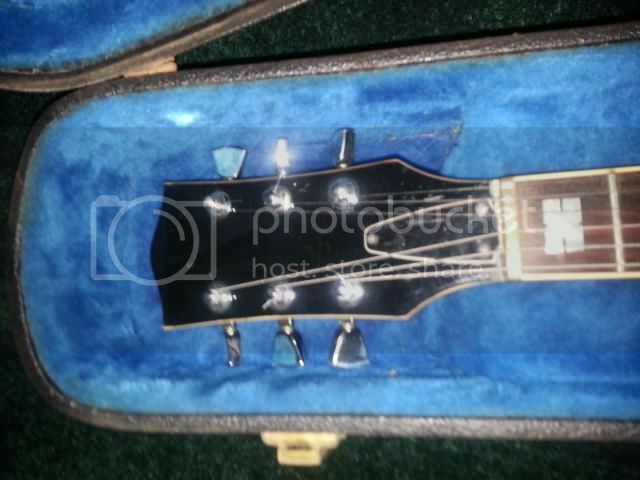 I am sure know one cares but the guitar and case basically kept me from serious injury in a motorcycle accident so the case is a little beat up on the outside. 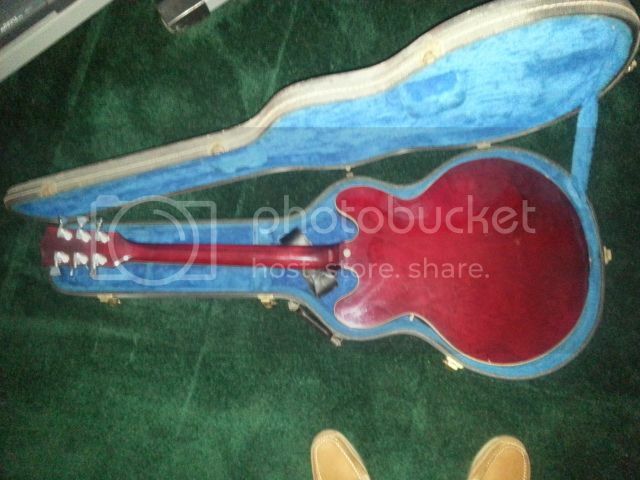 I still had to work that night and when I got to the club and opened the case the guitar was still in tune. Another reason I hung on to it all these years. It not only fed me, my wife and kids but it kept me from harm. Can't quite figure the how to attach an actual photo? I saw you made corrections yesterday but not sure what you did to accomplish that. I looked at the full pictures and it was a little hard for me to tell about the binding. I can say, mine (several years older, and an elvin bishop) has thick binding and it makes the F holes look noticeably smaller. But by then there are most certainly changes in design not to mention the differences in the model. Just noting the difference. Also, they likely could have changed manufacturers too - Tom Said they used Kasuga and Terada if I recall correctly, so could be either. 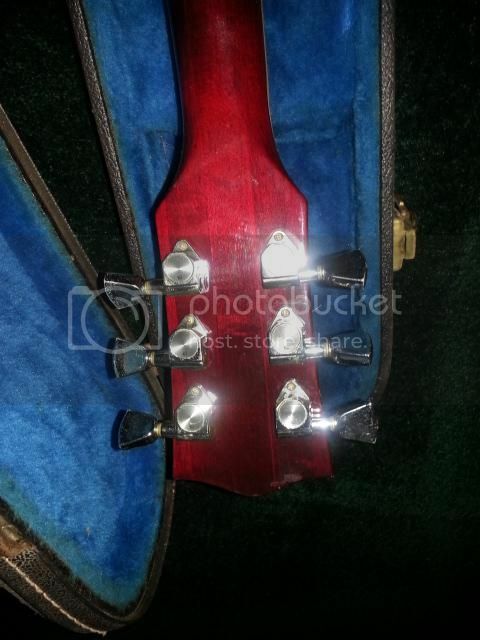 The keys have that Gotoh emblem on them, yes, I believe that is what that emblem is. 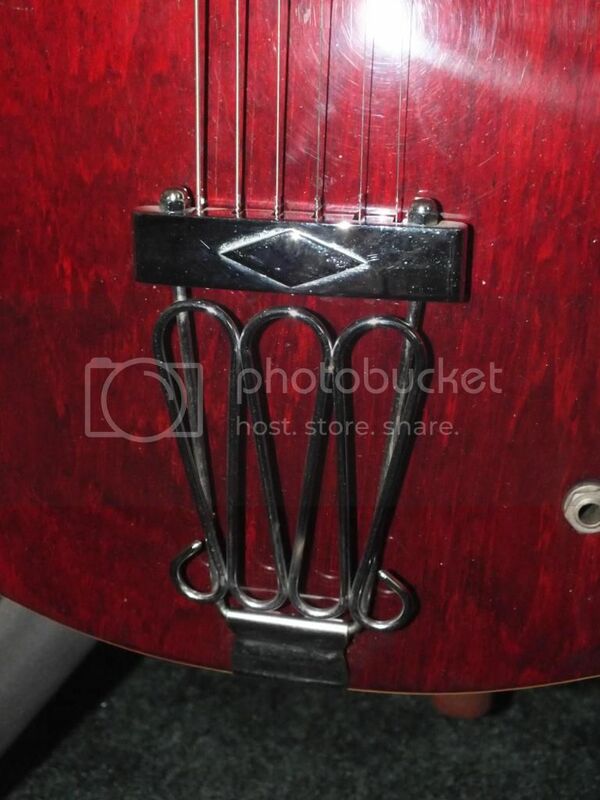 I am 90% sure at least most electra guitars had gotoh-made keys. Production keys look very much like that but have the Electra symbol on them so that makes perfect sense. I am just comparing the differences and similarities. More similar than not to production. I never had one of that particular model - the burgandy pro. I have seen members here have or have owned them. They could comment a more detailed comment. All the minor differences make sense since it was pre-production it would not actually have the electra logoed trim on it and have minor differences. I was in elementary school when that one came out! But a few years later when I started to play, I almost got a Pan branded guitar very much like that. 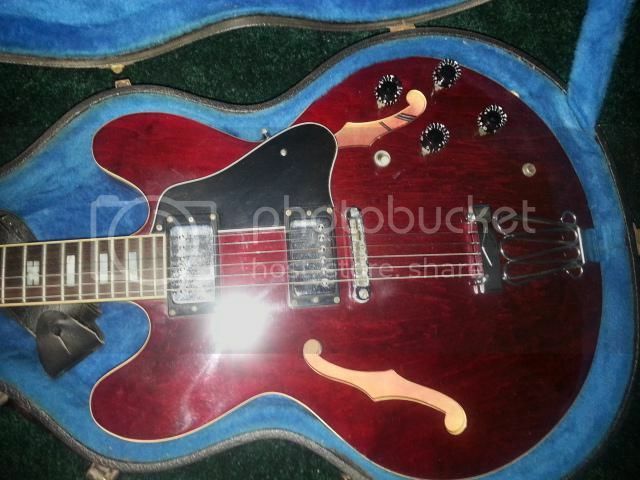 It was between that and a Japanese Epiphone Coronet style with a bolt neck - I unfortunately chose the Epiphone I think because the Pan was a few dollars more an I was spending all I had. I should have gotten the Pan! It was burgandy as well (probably the most popular color in 335s back then). But if we all knew then what we know now! As far as the pictures, if you are in photobucket on that page with the large image of the picture, to the right you will have a "links" section on the top right of the screen, click on the "direct" link and it will copy the link to your clip board. Then go back to your message and click on "Img" from teh Message body section. Then paste (Ctrl and V at the same time in windows) the text for the direct image in between the (Img) and the (/Img). It will actually have a squared off bracket instead of the curved one - but you get the idea. That will directly attach your image in the posting. It isn't hard, it just took a little trial and error the first time I did it. If you choose "URL" instead of "Img", then they will get a link that you'll have to click to see the picture. You should be able to go back to your comments and edit them too. I do that all the time when I make a mistake or say something and it gets lost between the brain and the fingers! Thanks to all. It would be good to know who actually manufactured it and when. Gee, tha's a great tale and a very nice instrument; thanks for sharing it with us! The other blokes are much more knowledgable than I so I cannot add anything to the provenance but I will say this: prototypes DO turn up from time to time! I know this because I have one such, a Westone Genesis II that TP reckons he may well have hand wound the pickup for!! "...At the time the STLM rep told me he had three. One was blonde, then mine and I forgot the third. As you can see, it ha..."
who said it was a prototype, or a sample. He couldn't remember which. I've not been necessarily convinced, but it is true I've never seen another like it, and I'm sure it's all stock from the day it was built. 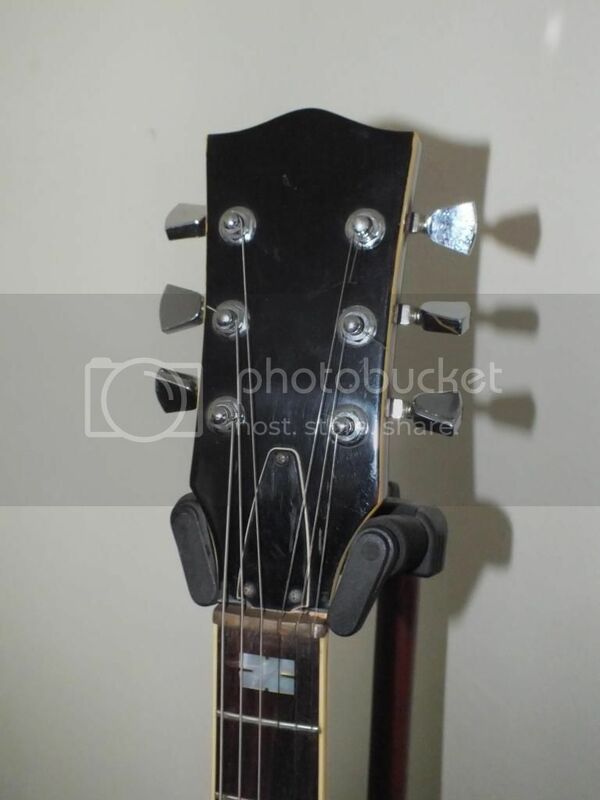 It's an extemely finely built instrument, the best Electra semi I've ever had. 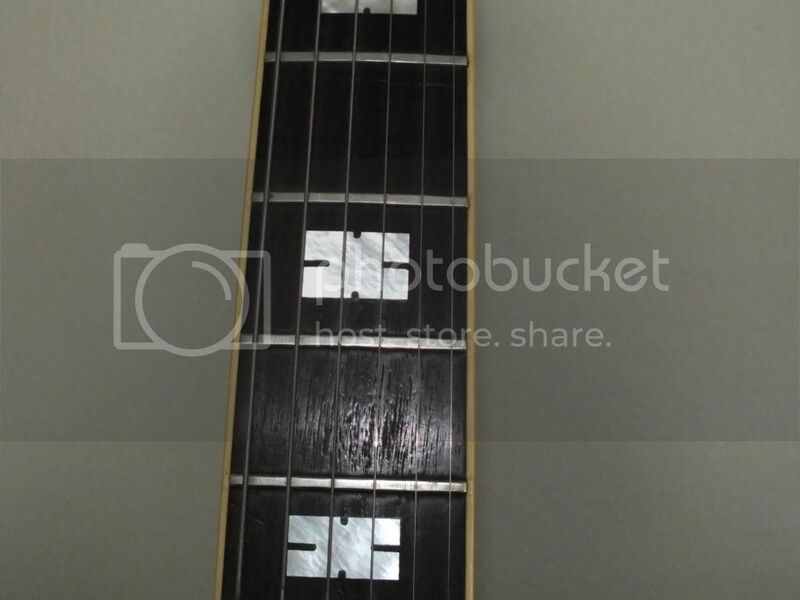 The only thing I've done to it was level the frets and fix a small piece of binding that was cracked up. I'll try and post some pix later today. For what it's worth, I'd say yours is a prototype. Hard to say for sure from photos. Or there was a SLM rep that had a unique hustle going on around there in the 70's. "... can't seem to hit that Bb right."